Here we aim to provide you with vital winter driving tips. The winter months can be particularly tough on your car, with many people finding themselves unable to even start their car in the cold winter mornings. The drop in temperature can have a big impact on the performance of your car’s battery, with the combined disadvantages of it needing to work more to turn the engine over with cold oil inside, and the low temperature actually reducing the energy output of your battery. The increased strain can therefore cause your car battery to go flat very quickly, leaving you without a working car in the winter! However, before calling a rescue service, there are a few tricks you can try to get your car started again in the cold. There’s a large debate regarding the benefits of allowing your car to warm up before you set off in the mornings besides having a warmer car to sit in! However, if you do find the time to let your car idle for a few minutes before your commute in the cold, you can help to relieve the strain on your car battery and reduce the chance of it dying in future. Hopefully this winter driving tip really saves you money in the long run! Keeping your car warmer overnight can help to reduce the stress on the engine and battery, helping to improve its lifetime. If you have access to a garage or indoor car park, store your car here overnight when the temperatures drop in the winter to avoid the chemicals inside your car battery being affected by the cold too much. If your car’s battery is over three years old, it’s more likely to fail when you try to start your car in the cold. Have your battery tested now to see if you are in need of a replacement, and save yourself from being stranded with a dead battery this winter! 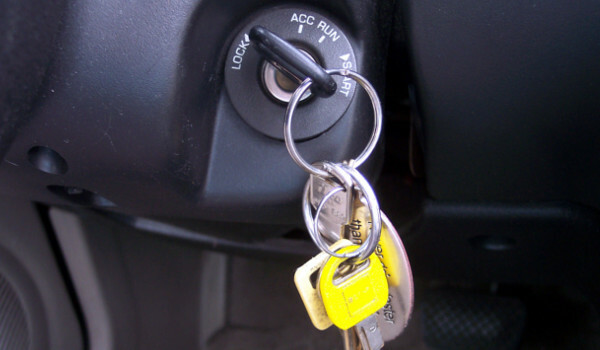 A key winter driving tip is to turn the key and hold it for up to 10 seconds to see if the car will start. If your car does not start in this time, stop holding it and leave your car for a few minutes before trying again. Finally, if the cold has truly wiped your car out, jump starting the battery is an ideal temporary fix to get you moving again and start charging the battery. Jump leads can be purchased from any vehicle shop, and you simply need another working car to jump your flat battery back to life. For a range of hire cars, look no further than Caversham Vehicle Hire this winter. We provide affordable rates for both weekend and long term periods, with fully serviced vehicles for your requirements. Contact us today for more information, and we’ll be happy to provide you with a quote.